"Let's go on a proper camp next time!" 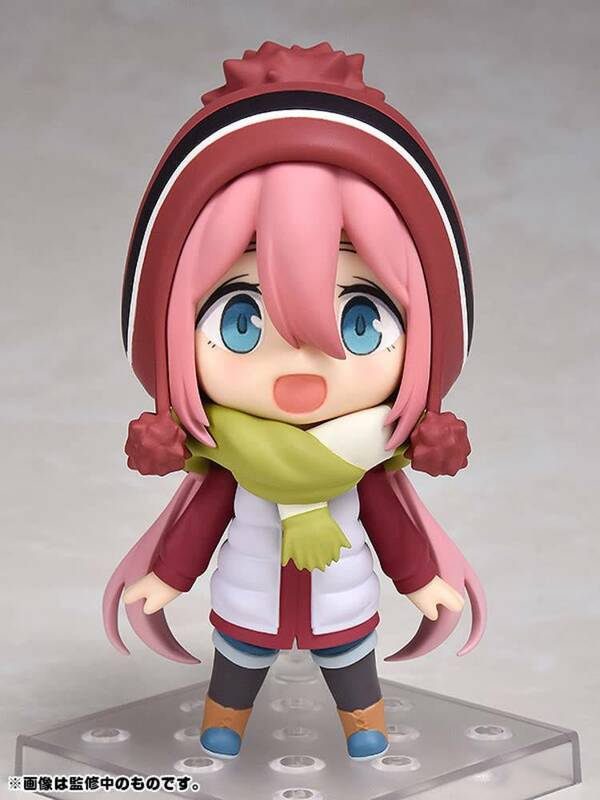 From the popular anime series "Laid-Back Camp" comes a Nendoroid of Nadeshiko Kagamihara! She comes with three face plates including a cheerful standard expression, a smiling expression as well as a broad smile with closed eyes. 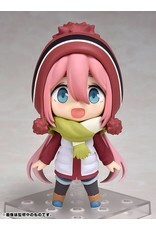 She comes with a detachable scarf part as well as an alternate head part with her hat removed. Optional parts include the curry noodles she received from Rin Shima in episode one, a gyoza hot pot, gas stove, bowl, chopsticks, soup spoon and ladle! In addition, the Nendoroid also comes with a social media text plate to recreate the iconic timelines from the series, as well as a paper picnic sheet to display with her! Enjoy a laid-back camp right by your side in Nendoroid size!